Maserati has joined forces with iconic London department store Liberty for an interactive window display. The Italian car maker and the department store have also helped launch fashion charity LDNY's new 'Legacy' collection. The unique and interactive window display at the Regent Street store features three examples from the Legacy collection alongside cutting-edge technology from 'Those' - a London-based digital design works - with their digital drawing system 'The Woodpecker'. The Woodpecker is a drawing robot that sketches images of Maserati cars, as well as images from the Legacy Collection and Liberty's famous Tudor-style shop-front onto the glass window live in front of London shoppers. The Woodpecker also invites members of the public to be a part of the window display by writing tweets using the hashtag #LibertyxMaserati onto the glass. 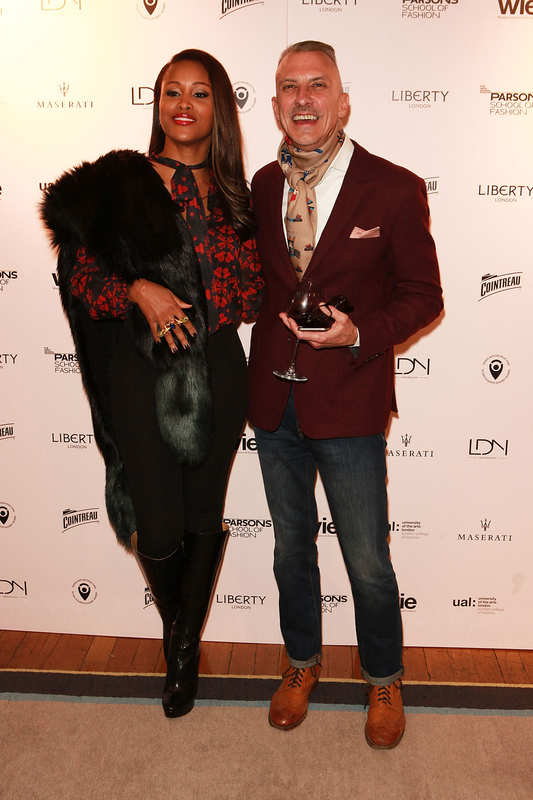 A VIP event was hosted at Liberty earlier in the week to celebrate the charity fashion collection and officially launch the window display. Guests from the worlds of fashion and enterprise were joined by the likes of English fashion designer Ozwald Boateng, Chief Executive of the British Fashion Council Caroline Rush and Hip-hop artist Eve Jeffers at the 140 year-old London department store. A fleet of Maserati Quattroportes lined Great Marlborough Street where the store's main entrance is located. The Legacy Collection is an ethical, luxury fashion project by the LDNY Foundation which promotes female designers from around the world. The LDNY Foundation is a partnership between London College of Fashion (LCF) and Parson's School in New York. Students from both universities entered designs by artisans inspired by nations such as Ethiopia, India, Mongolia, Papua New Guinea and Peru into a competition. Peter Denton, Region Manager, Maserati North Europe said, "LDNY is a charity Maserati has been supporting since early 2015 when the first designs were showcased at Goldsmiths College. We're delighted to see the final Legacy Collection in the window at Liberty, which is such an iconic fashion venue in London. Maserati has always been known for being a pioneer of style and design in the automotive world, so it's an honour to champion new fashion innovators here in London."